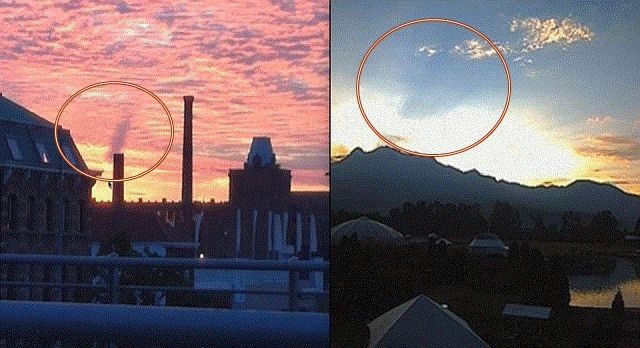 July 19, 2017: An unusual sunrise sky beam was observed on both side of the world on the same day. The same phenomenon which occurred in both hemispheres (Belgium and Mexico) of the Earth is another indication that strange sky phenomena continue to escalate in both intensity and frequency worldwide. Strange and often unexplained sky phenomenon as well as extreme weather is the new normal?